Enjoy a club-style party anywhere with the GTK-XB60. EXTRA BASS™ sound enhances the beat, while colored lights change with the music. The built-in rechargeable battery means you don't need a power outlet to get the party started. Push the EXTRA BASS button to add some serious low-end power to your music. It works by reinforcing bass lines to create deep, punchy bass. Simply press the button to activate the mode, and be blown away by resounding bass. 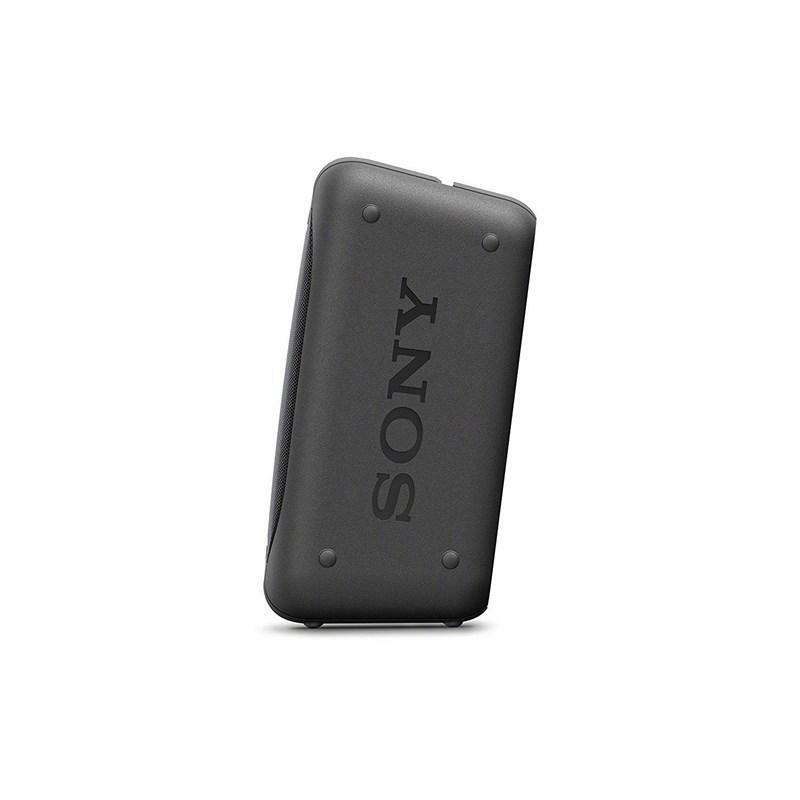 LDAC™ is an audio technology from Sony that allows you to enjoy the highest-quality wireless audio via Bluetooth. With 3x the data transmitted, LDAC™ provides an enhanced wireless listening experience for all your music. Boost the quality of your compressed music files. When an original music source is compressed, it loses the high-frequency elements that add detail and richness to your favorite tracks. The Digital Sound Enhancement Engine (DSEE) faithfully restores these to produce high-quality sound that’s closer to the original CD recording. 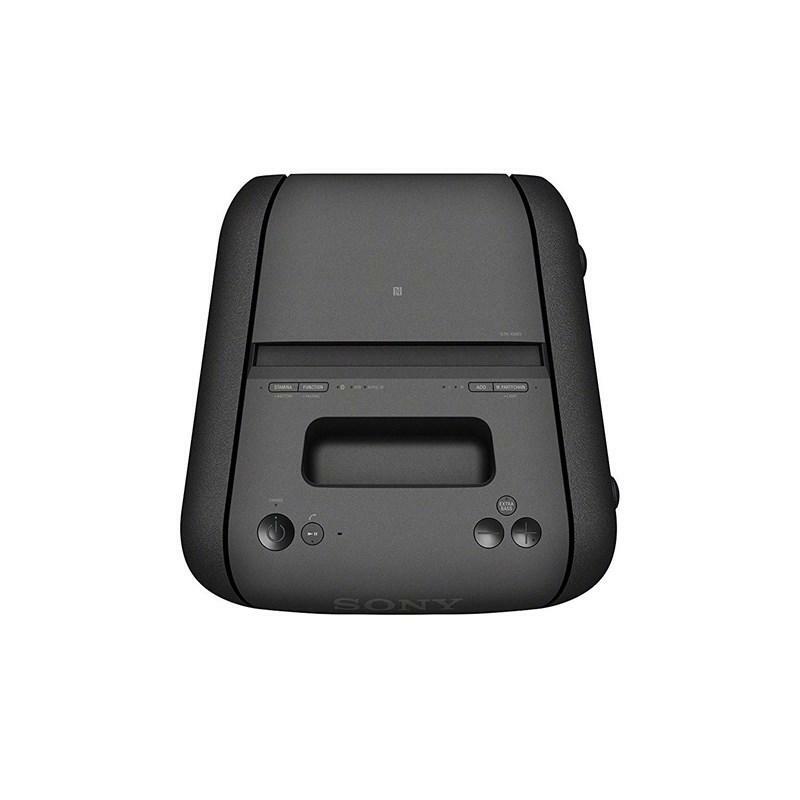 Enjoy the same song with Wireless Party Chain. 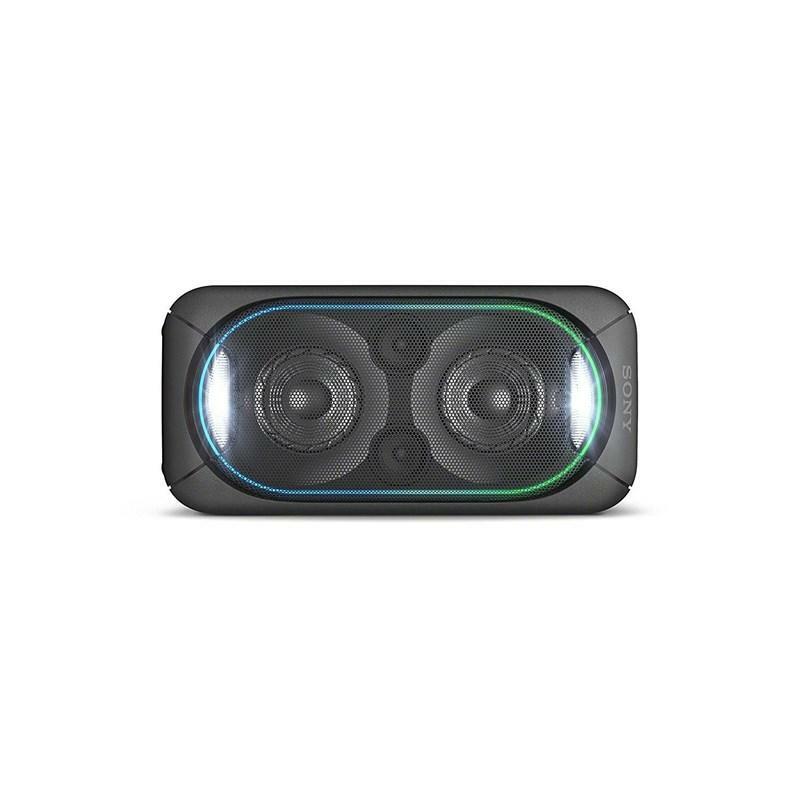 Connect up to 10 compatible wireless speakers via Bluetooth® technology and synchronize the music and lighting so everyone's dancing to the same beat. Want to party outside, or away from a power outlet? The built-in battery kicks in whenever you're not plugged into the mains, giving you 14 hours of play time, or 3.5 hours at maximum volume. Alternately, activate stamina mode and the volume will drop slightly to give you 5 hours of playback. Pick it up and party anywhere, thanks to this speaker's one-box design. Whether you're hanging out with friends at home or taking the party elsewhere, the compact design features a built-in handle for portability and convenience. Pump up the atmosphere with club-like LED illumination from multiple lights. Line lights around the speakers feature multicolor patterns, ranging from pure white to rainbow. Colored speaker lights illuminate everything from behind, and strobe lights create a club-style flashing effect. The light display synchronizes with the rhythm of the beat, matching the musical mood and atmosphere. When you want to be the party MC, just plug in a microphone. This speaker puts your vocals directly into the mix. 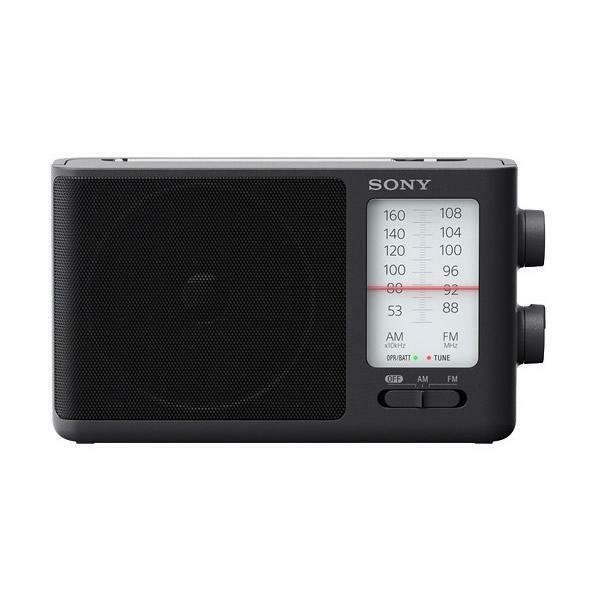 Easily control your party settings from the dancefloor with the Sony | Music Center app. 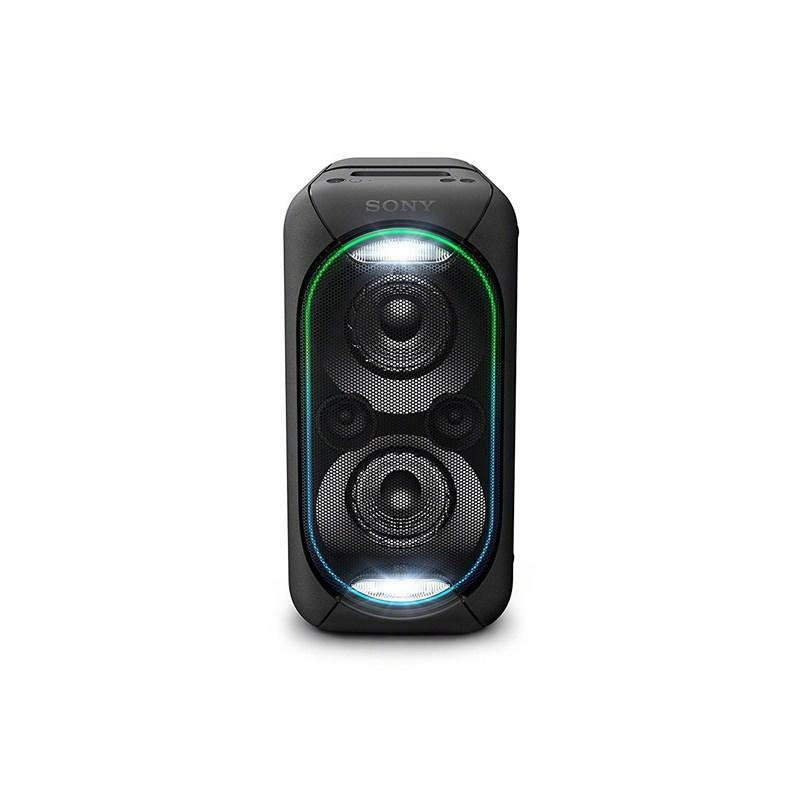 The Fiestable plug-in lets you wirelessly change the color of your speaker lights, or activate DJ effects. And it all happens with a few flicks of your wrist, thanks to the intuitive motion control feature. You can also select your favorite smartphone playlists and cue the next song without being tied to the DJ booth. With a USB port, you'll be able to plug in a USB, smartphone, or tablet and play all your digital files. Compatible with MP3, WMA, and WAV formats, it keeps the party moving with your favorite playlists. Near Field Communication (NFC™) and Bluetooth technology remove the need for wired connections and complex set-up sequences. Simply touch your NFC™-enabled device to the headphones for a quick, seamless connection, then start streaming your music collection. No NFC™? No problem. Connect via Bluetooth® and you're ready to go. 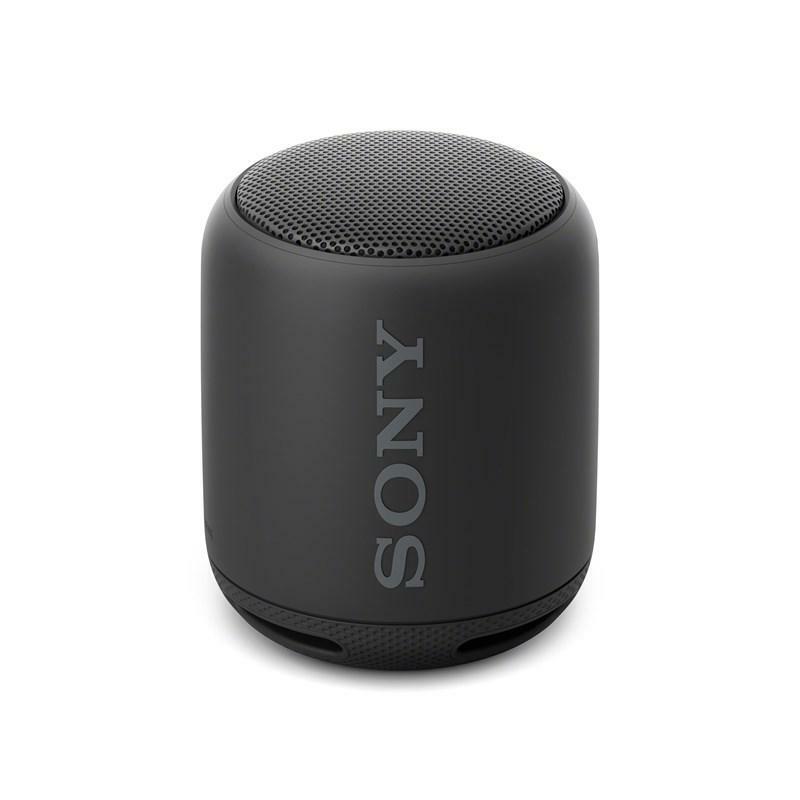 You and your friends can pair up to three smartphones with this speaker simultaneously using Bluetooth® technology. You'll all be able to play tracks from your music libraries, giving you an even greater choice of songs. Add extra power to your sound system. Connect multiple stereos using an audio cable for a higher sound output. Activate one device to be the 'Party Host' and sync music with the other systems in the chain. Big beats on the go. Wherever you go, bring some big beats with you. The SRS-XB10 is easy to carry and brings out the bass in your music.